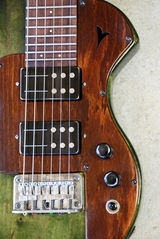 Fabulous Look and Tone, now even more affordable, and still all hand built in Chatsworth, California! More models coming soon...E-mail or Call for more details. 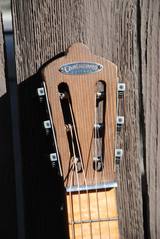 Take the Chatsworth Guitars Video Tour! Builder Tom Burton demos some recent builds ~ see and hear what makes them so unique. 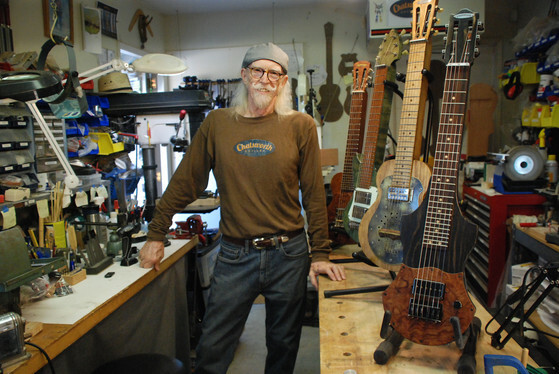 Chatsworth Guitars creates individually hand-crafted lap steel guitars. 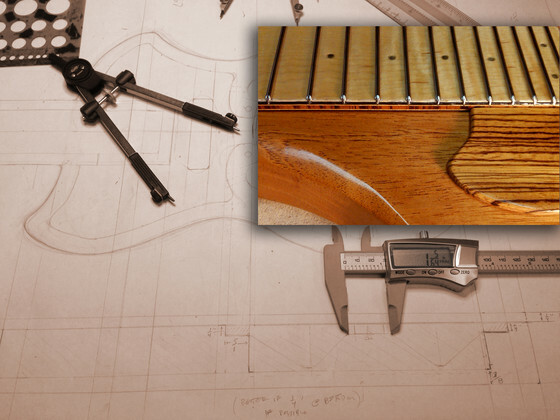 Built from premium tone woods and high quality components and electronics, each instrument is a personalized work of guitar art. 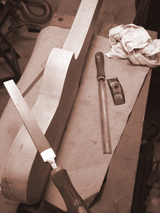 Our goal is to create unique instruments that are a pleasure to see, hold, play and hear. Every Chatsworth Guitars lap steel embodies the classic look and vibe of traditional guitar design, while offering the benefits of one-piece construction ~ body, neck and headstock are crafted from a single tone wood unit, providing impressive sustain and resonance. 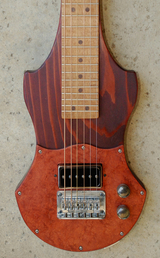 Optional Hollowbody / Hollo-Neck designs allow the entire instrument to function as a resonating chamber, creating unique alternatives to solidbody tones. 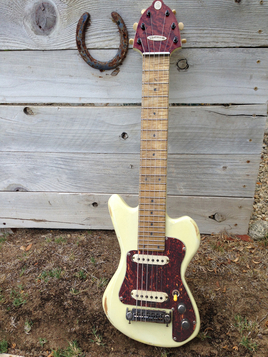 Custom T6 aluminum, brass or bone nuts round out each guitar's unique sonic personality. 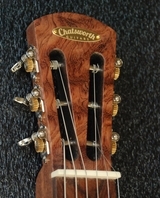 Attention to detail is important ~ while many builders rely on printed-on fret position markers, unless ordered otherwise, all Chatsworth Guitars lap steels are painstakingly fitted with hand-dressed stainless steel fretwork, adding a look and character that are simply just...cooler. 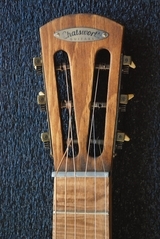 The Models page has examples of recent builds ~ New instruments are always in progress. 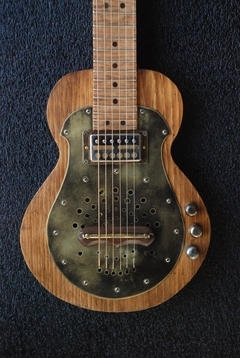 Fabulously well worn, these guitars are designed, finished and outfitted to look, play and sound like well-experienced, decades-old instruments. 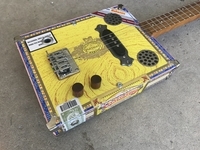 The vibe is distinctly vintage and well-worn, and the tone ~ from sweet, bell-like chime to raw, gritty drive ~ represents the very best of our "Creamy to Screamy" sonic philosophy. 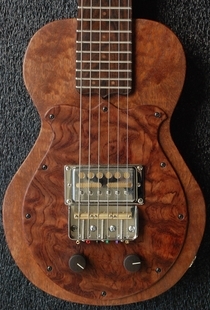 Contact us to inquire about options or to start your new custom lap steel guitar.